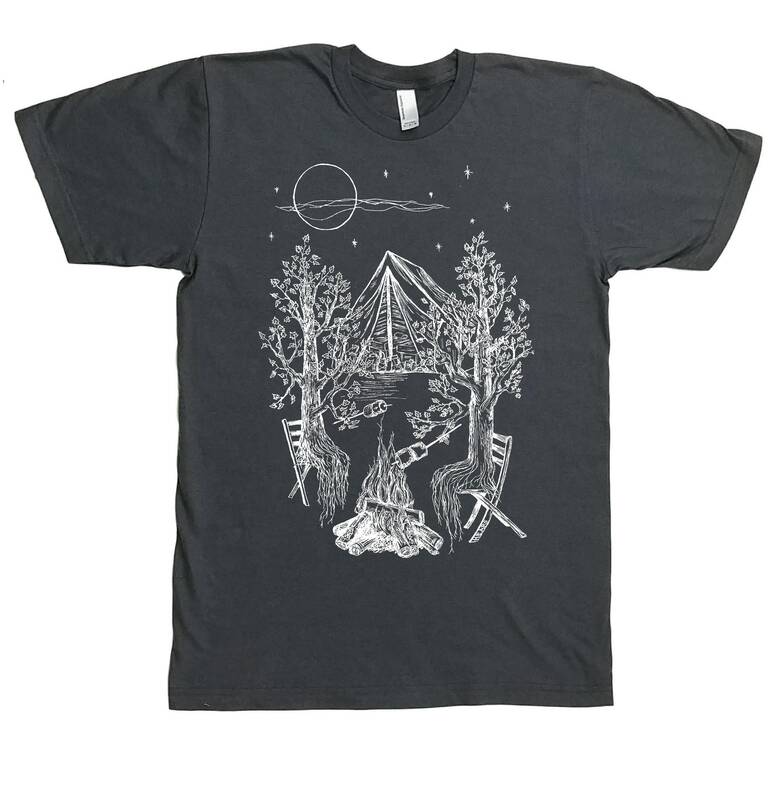 This crew neck mens camping t shirt features an image of a maple trees tenting and having a bonfire that's screen printed by hand in eco-friendly black ink. The image is our own hand-drawn artwork and we pull each print manually in our studio. 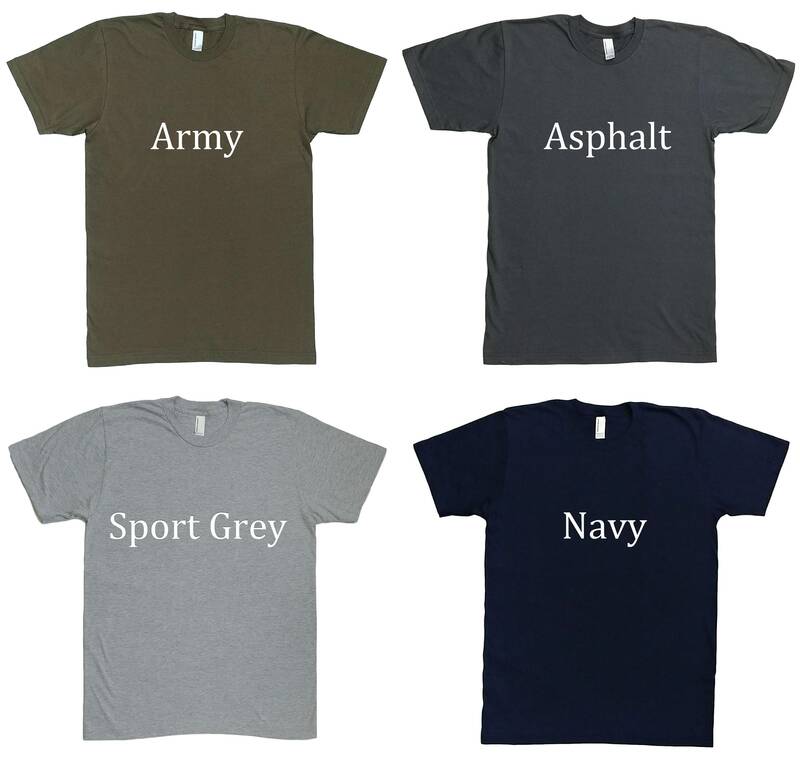 The mens tee shirt is made from soft, lightweight ringspun cotton and is a comfortable, roomy style. 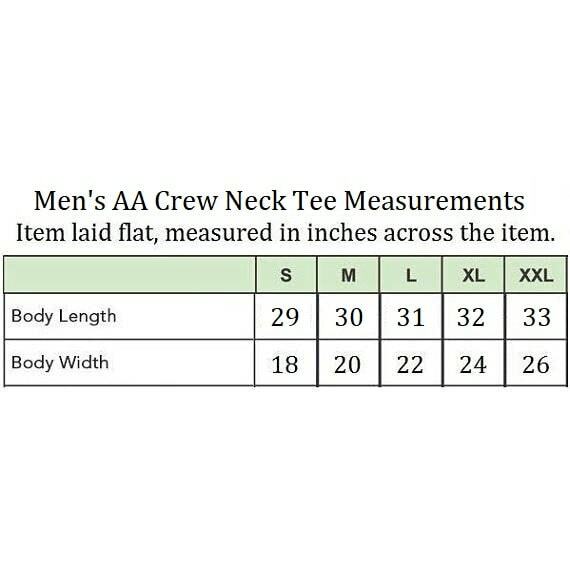 You'll love this hand printed man's t shirt. It also makes a great gift! This was a gift the recipient liked it.